Figure 3: Isoflurane regulation of Gap junction proteins maintains blood-brain barrier integrity. Note: Isoflurane is going to cause an increase in expression of SpkK1. SphK1 will activate S1P and S1P1/3. 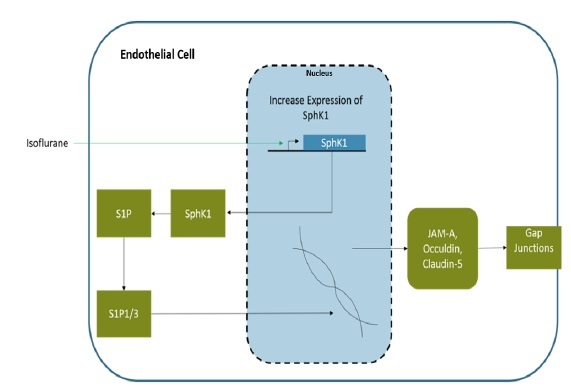 These factors will lead to an increase in the expression of JAM-A, Occludin, and Claudin-5.21,40 S1P: Sphingosine-1-phosphate.